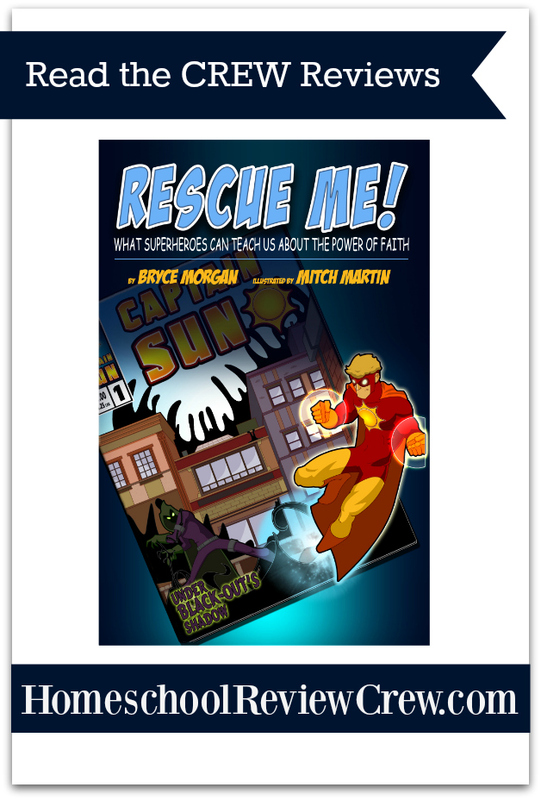 My children looooooved reading The Captain Sun Adventures Book 1, Rescue Me! 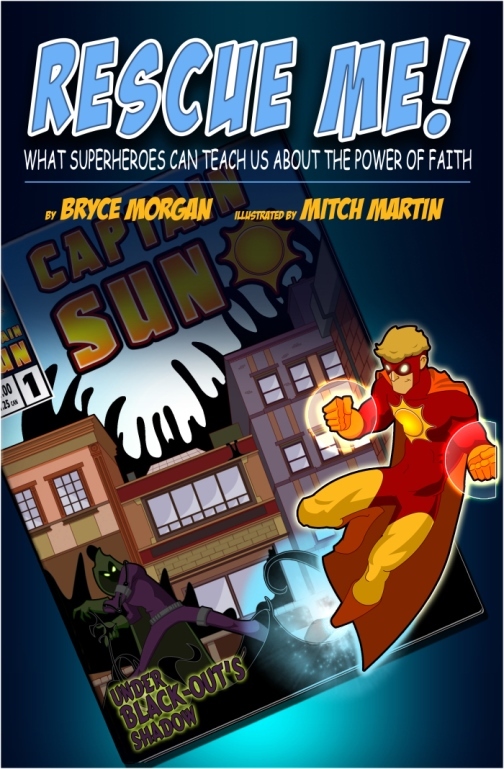 What Superheroes Can Teach Us About the Power of Faith. The packaged arrived in the mail and I pulled the book out. “Hey,” I thought, “This looks pretty good-” and the book was covered by small hands wanting to see it. I willingly relinquished the book to my 8-year-old daughter, who curled up with the treasured prize. So, she got to read it first. It took her two days to finish it. She’s a very good reader, but she likes to savor books. She reads what I assign to her, but she isn’t one to enjoy a lot of unassigned reading, so I was really happy to see her voluntarily enjoying this book so much. I didn’t have to remind her to finish it – instead she devoured it all on her own. She said the book was easy to read and she had to read it because she had to find out what was going to happen. I asked her about her favorite parts. She said that she liked it all, but her favorite part was when Captain Sun finds out where the villain is and then he gets stuck, then finally “booms” out of the stuff he was stuck in. She thought the most suspenseful part was when everyone thought Captain Sun was dead. She liked how Captain Sun saves the villain. She liked how Captain Sun recharges in the sun, just like she does after a cold swim. Her renditions of the story were quite animated, and I could tell that she really enjoyed it a lot. Probably because we already read a lot of Christian-themed books, my kids didn’t notice anything different about the Christian content of this book. To them, I think, most books have some kind of Christian content, so it’s normal. To them, it’s a fun comic with action, adventure, and suspense. I specifically asked my middle child about anything Christian that she noticed, and she said that she liked how every once in a while there were “newspaper parts” that said “stuff about God.” She said they were “good.” So descriptive, I know, but the kids liked them. To me, it’s a comic where I don’t have to worry about inappropriate adult content. There are two more books available in the series, which I ordered primarily for my middle child because she was the biggest fan. I used the links from The Captain Sun Adventures website because the books were not coming up for me when I searched Amazon. I was easily able to order the sequels from the website links. My other kids (11 and 6) also enjoyed the book but I think that the best age for this book is probably around age 7-12. My 11-year-old is a bookworm, so these wouldn’t last him very long even though I know he will enjoy reading these with his siblings. Don’t miss the other Review Crew reviews!